If you hold valuable data, don't allow your business to be compromised. As approved resellers of Sophos Enterprise Security network and server solutions, we can provide additional IT network security, as required. These advanced products protect businesses from cyber attacks. 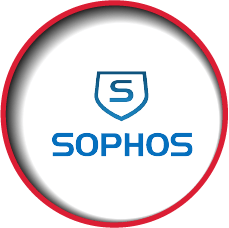 Sophos develops IT products for encryption, network security, email security, mobile security and unified threat management. SBS Cyber Security is an approved reseller of Sophos solutions through SBS Networks Limited. Sophos products allow you to secure every end point of your network, from laptops to virtual desktops and servers, to web and email traffic and mobile devices. Through Sophos products, SBS Cyber Security will ensure that your network is secure. We provide training for DPO's - Data Protection Officers, along with the provision of DPO Consultants. Under the General Data Protection Regulation - Public Bodies, companies with 250+ staff and organisations that trade across the EU, exchanging personnel data are required to appoint a DPO. ensuring that all relevant documentation/ data processing records are maintained. This four-day, Advanced-level course is focused on enabling delegates to fulfil the role of Data Protection Officer (DPO) under the GDPR, and covers the Regulation in depth, including implementation requirements, the necessary policies and processes, as well as important elements of effective data security management. Both courses can be delivered in a classroom environment, as well as on-line. Both courses are subject to examination before award of the certification. Options to get your business to become Cyber Essentials Certified.